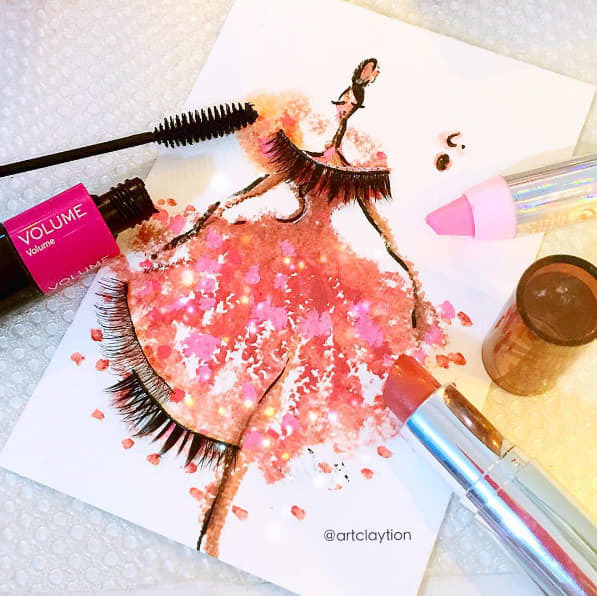 You have to see these stunning fashion sketches drawn from nail varnish | HELLO! 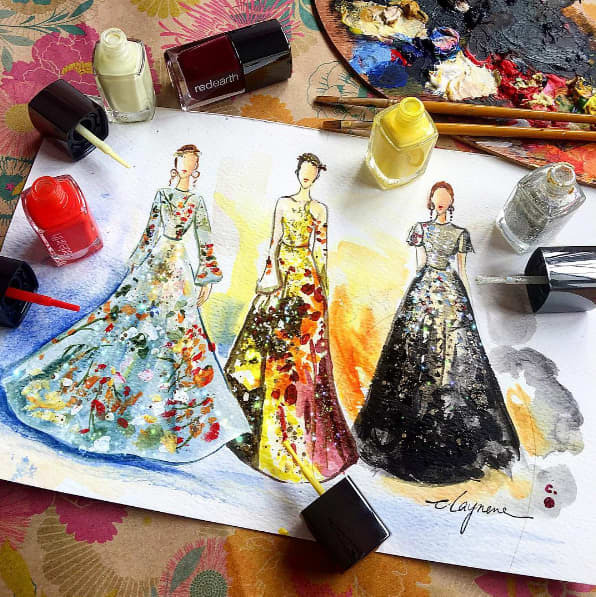 One talented artist is giving nail art a whole new meaning with her incredible fashion sketches. Chan Clayrene, who is based in Singapore, works predominantly with nail varnish – and the results are truly impressive. 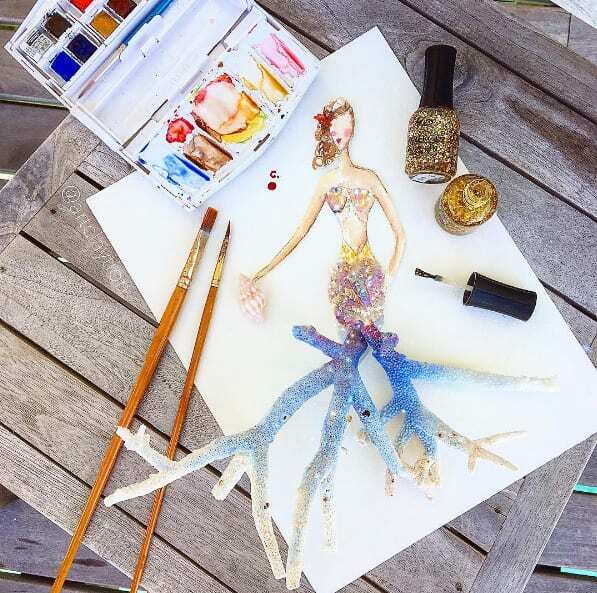 Chan shares the designs on her Instagram account under the moniker @artclaytion, and she has attracted over 10,000 followers who are in awe of her work, which includes catwalk-inspired sketches as well as beautiful mermaids adorned with glitter and gems. The talented artist has even been known to use false eyelashes for a unique way of adding texture to her work. Speaking to Bored Panda about her newfound Internet fame, Chan said she loves using nail varnish in her artwork. "I love them because of its glossy shine effect… After exploring the possibilities of nail varnish on my own nails or paper, I now draw my illustrations on water too! The process of drawing on water is very challenging but exciting, I could ruin my artwork anytime with a wrong stroke!" She added: "It just feels like making a wishing well and the dream comes true once the artwork is completed. Through this art journey, it motivates me to dare to dream, to always inspire and to be an inspiration for others." She's definitely inspired us to look into new ways of using our cosmetics!